Where and when were these projects taking place? In Midway, Kentucky from 1948-1950 the “Build a Better Community” project was taking place. This was a full-spread community project to clean up and improve the community of Midway. 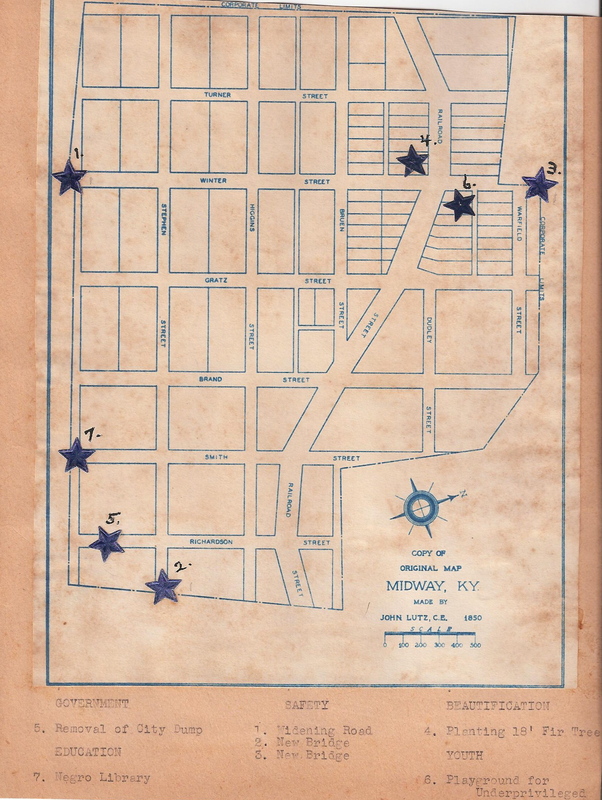 Some specific areas of interest during the BBC project, was “Tin Cup Alley” where the African American school was located, sections of US-62 from the railroad crossing at Midway to KY-50, and also overall city improvements. On August 8, 1949 as part of the overall project Mayor R.W. Lacefield proclaimed this day as clean up day in Midway.